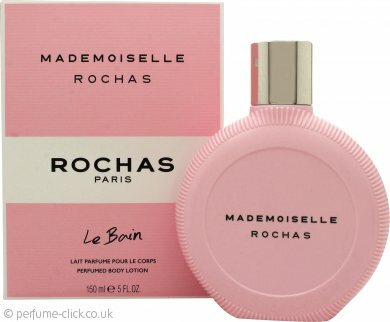 Mademoiselle Rochas by Rochas is floral fruity fragrance for women. Sparkling notes of tangy red fruits ensures a fruity opening, before you enter the floral explosion of the heart. You’ll find rose petals mixed with violet and the wonderful jasmine which are considered the essence of elegance, romance and femininity. The base is creamy and thick with sandalwood, ambergris and white musk. Mademoiselle Rochas is presented in a perfect circle, evoking the roundness and softness of femininity while the juice inside is kept pink to reflects the floral and gourmand notes of the fragrance. Mademoiselle Rochas was launched in 2017.